Here are a few snaps I took when I went to Covent Garden. They’re just people who stood out to me for different reasons. I liked the way this girl had used double denim but made sure to use different shades of blue. 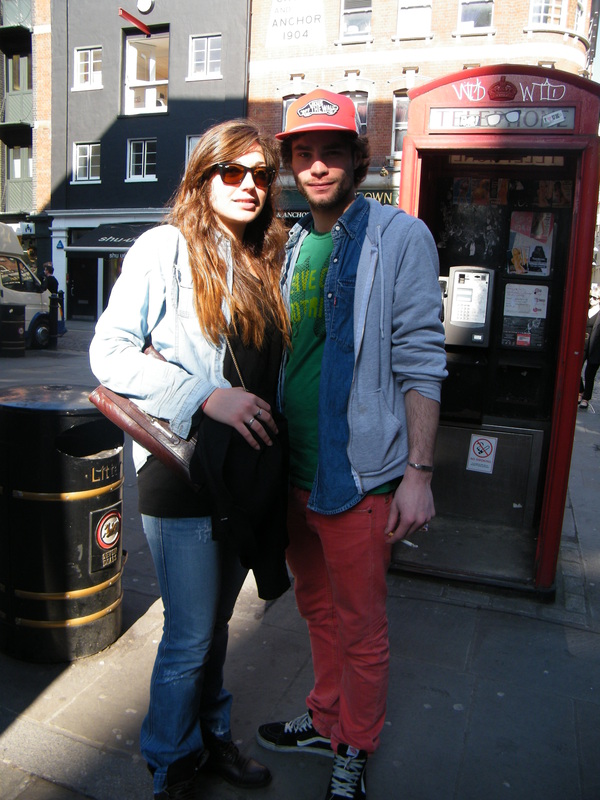 The guy she was with had a fun colour code which was really refreshing. To some, she doesn’t look too eye-catching. To me, I really liked what she was wearing. 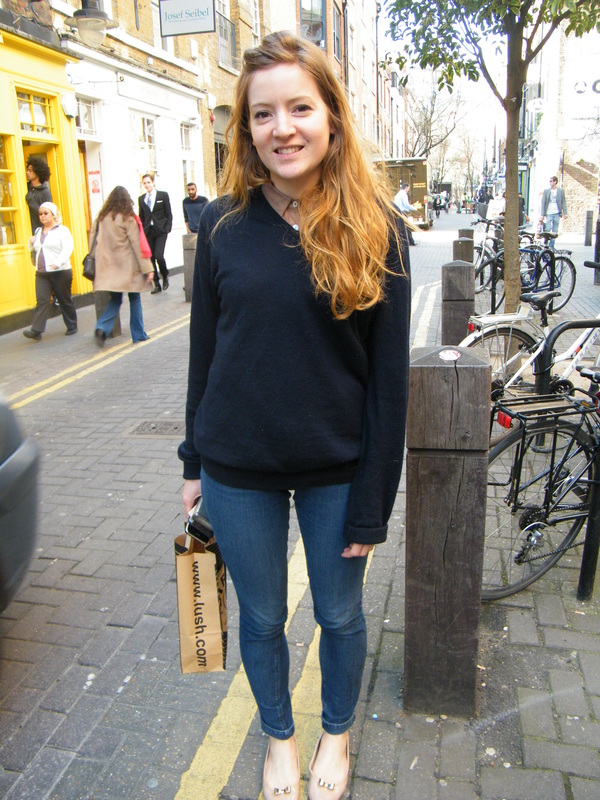 It was very simple, she had a nice blouse on underneath the jumper which is a nice shade of brown. I think it would’ve looked better with a quirky broach though but she still looks good – and comfy. I loved these tights! I think it was the pattern that instantly caught my eye. I prefer tights with a pattern on because it’s something different and you can wear something plain and jazz it up with some funky tights. Thumbs up! I think this look is very cute and summer-ready. The blouse is very cute and I love the denim skirt. It’s a nice high waisted skirt which cinches in the waist which is never a problem – unless you’ve just eaten and need the extra room. The cute little shoulder bag doesn’t overwhelm the outfit either, it’s very simple. Think she could’ve done with a bigger jacket though, it’s not summer yet!